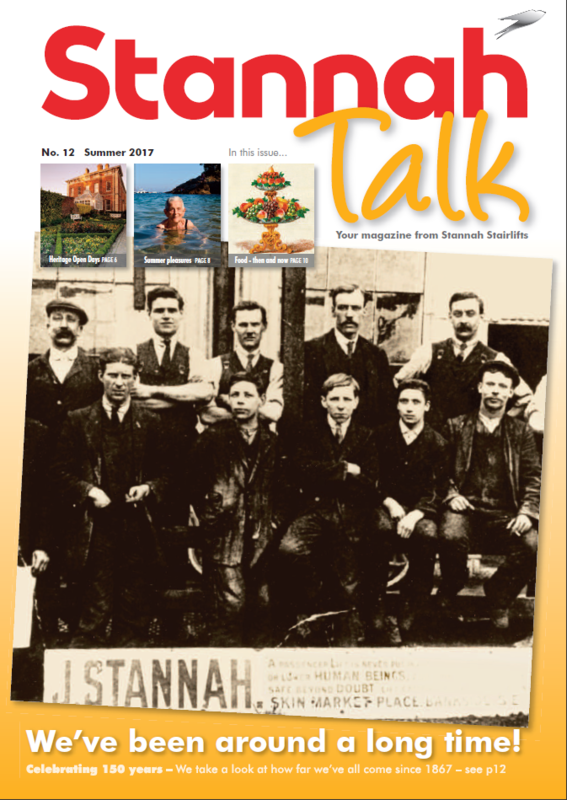 2017 is a big year for Stannah Lifts – it's their 150th anniversary as a UK-leading lift company, so it's fitting that this issue of StannahTalk should pay tribute to its heritage. But it's not all about Stannah, anymore than it ever is, but it is just a bit, just enough for its readers to appreciate the pedigree behind their world-leading Stannah stairlifts – the go-to domestic appliance for independent living, the apparatus that brings freedom of movement in their own home. Otherwise, the contents cover a myriad of subjects, from the solitary nature of writers to the lure of India as a hot retirement destination for yester-hippies. And, once again, bandv has researched, written, designed, produced and distributed Stannah Stairlifts' bi-annual magazine.